With the FRE WaterProof iPhone 6 + iPhone 6s case, you're free to take your tech into every soggy, muddy, hard-knock adventure. 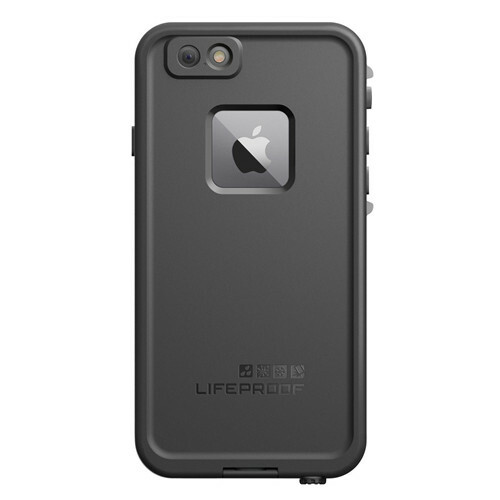 Lifeproof delivers an all-around protective case. This waterproof, dropproof, dirtproof and snowproof smartphone case allows peace of mind anywhere you take your smartphone! The FRE series has perfected the case design by building in a scratch protector that is virtually invisible to the eye and touch without obstructing access to buttons and controls. All of those features in a slim, sleek design, what could be better? Compatible with both iPhone 6 and iPhone 6S.